For the third time in eight year race history, Runner’s World has featured the Leprechaun Chase 10K (Pink Gorilla Event’s Saint Patrick’s Running Race). This year it was named in their Bucket List Races. 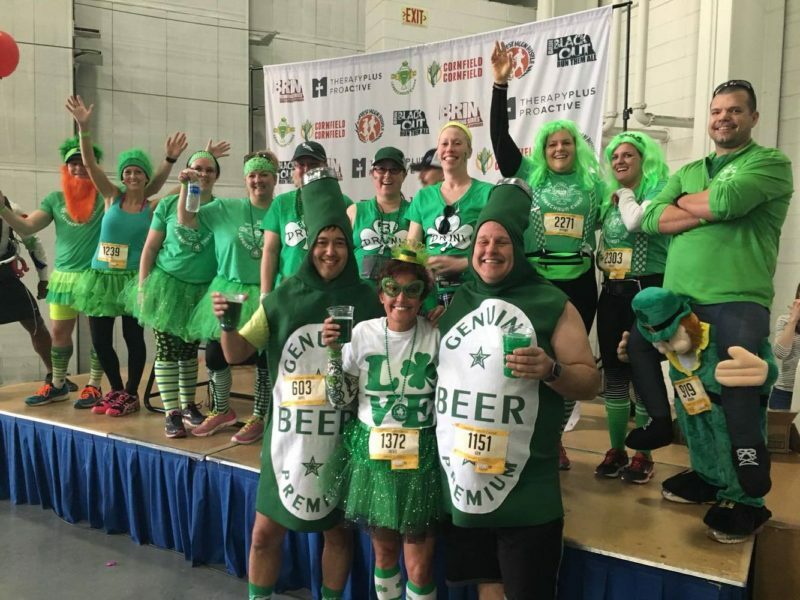 The Leprechaun Chase 10K was named one of the Best Costume Races which Runner’s World made into a bucket list, “10 Races to Run in Costume“. Other races on the list included a Gorilla Run, the famous Bay to Breakers, a Santa Run and of course the Keep Austin Weird Fest 5K. Around the office, it is always exciting to receive national recognition; but, honestly, I tried my hardest to convenience the staff at Runner’s World they were picking the wrong Pink Gorilla Events race if the topic was Bucket List Costume. I mean, come on people, look at the Market to Market Relay – relay race. Every race 40 teams go all out on costumes and we hold an online costume voting contest that gets thousands of votes. Don’t get me wrong– Leprechaun Chase has a costume contest, but usually the winner is predictable often wearing all green and a wig. That is no where near the caliber of best running relay race costumes in Market to Market Relay land. Either way, we are truly honored to be featured in Runner’s World. We love organizing both Leprechaun Chase 10K and Market to Market Relay races. Hopefully you get a chance to run in a costume at one (or both!) Sometime in the near future I may try to beat this dudes Guinness World Record of “Fastest marathon dressed as a leprechaun”, but a Runner’s World article once told me setting a Guinness World Record for running it wasn’t as easy as wearing a costume and crossing the line in the fastest time.